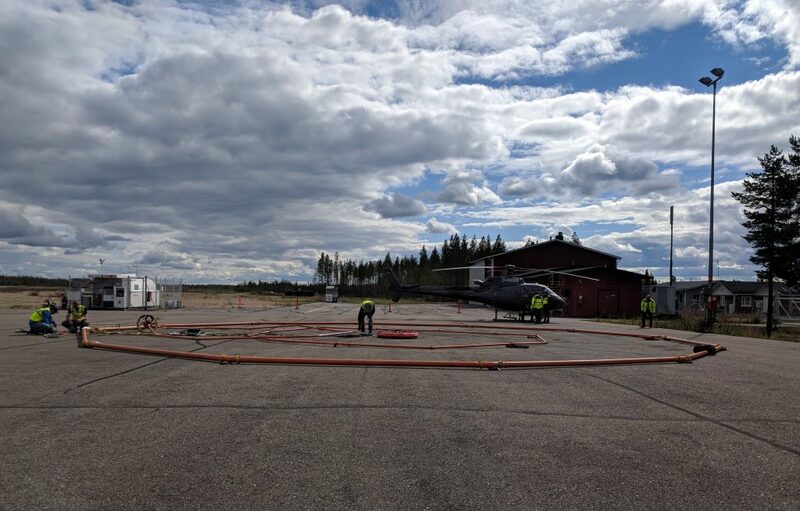 For some people at the Sodankylä airport in Finland it was a regular day at the job, whether it consisted on taking a helicopter to fly for a new mission, assembling sensors for an airborne geophysical acquisition campaign, inspecting the helicopter to determine if it meets aviation compliance standards, giving the final touches to the flight path, or working on coordinating efforts. 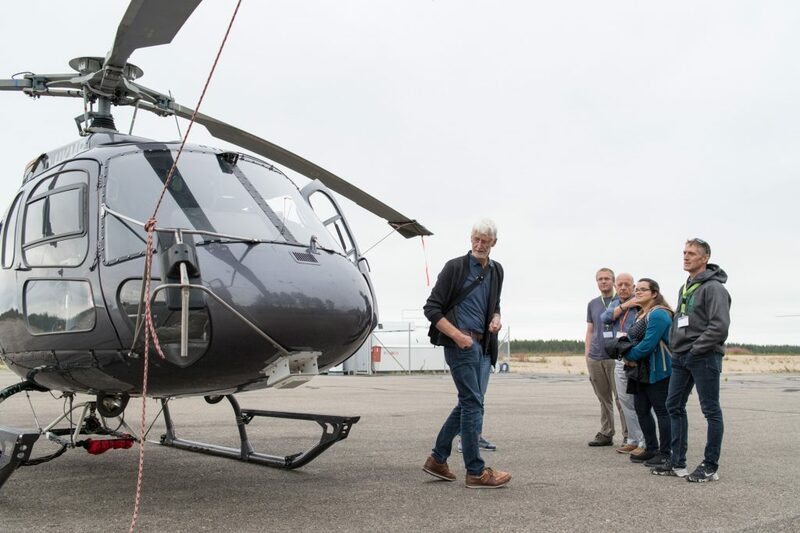 For me, on the other hand, it involved several first times: first visit to Finland, the first time in front of a helicopter, first time participating in an airborne survey, and the first time outside the office with new colleagues. As exciting as it can be there is so much more than that, starting with what are we doing and why. While everyone is working on its assigned role, the sum of the parts has a greater purpose, the kick-off of the INFACT project (Innovative, Non-Invasive and Fully Acceptable Exploration Technologies), an EU funded initiative that puts together partners from geosciences, social science, industry, and academia, aiming to secure the future of raw material exploration by developing and testing innovative and state of the art technologies for airborne and ground exploration on three reference sites all over the European Union: north Finland, eastern part of Germany, and the south of Spain. The first reference site is approximately 15 kilometers north of Sodankylä, Finland, an area with mixed vegetation including pine forest. Three systems will be flown in this reference site: JESSY Star (Jena SQUID System) from Supracon based on the Full Tensor Magnetic Gradiometry technique, VTEM ET™ (Versatile Time-domain ElectroMagnetic system), and ZTEM™ (Z-Axis Tipper Electromagnetic) both from Geotech. 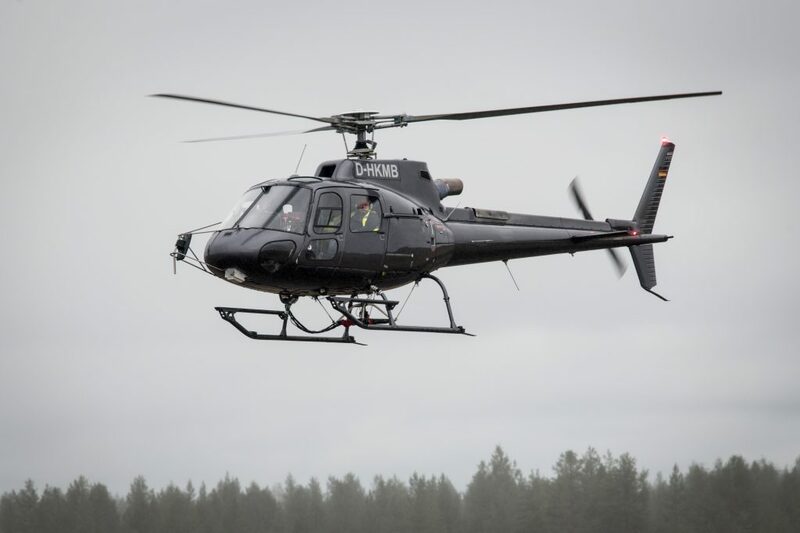 The systems will be flying from 30-50 meters above ground level (AGL) and the helicopter at 60-140 meters AGL. Assembled Geotech’s VTEM™ system for the airborne geophysical acquisition. Photo credit: Joan Marie Blanco. Koopman’s helicopter during take-off. Photo credit: Moritz Kirsch. INFACT have also brought together a diverse group of people from different disciplines and backgrounds, with high motivation to successfully execute the project and achieve the proposed goals, starting with this acquisition campaign. This is also the first time that most of these people met after collaborating for more than 9 months, which make this day a remarkable one. Partners Ana Braña Bergshjorth (left) (GEOGNOSIA), Leila Ajjabou (HZDR-HIF) (front left) social scientists Juha Kotilainen (UEF), Kari Oinonen and Sari Kauppi (SYKE) (back row), Joan Marie Blanco (HZDR-HIF) (right). Photo credit: Moritz Kirsch. I’m sure there will be more first times to come and I’m looking forward to share them with you. As I’m writing this we’re waiting on permissions to begin testing on site, the crew is ready, and anticipation is growing. I hope you’ll be able to join us on the road. 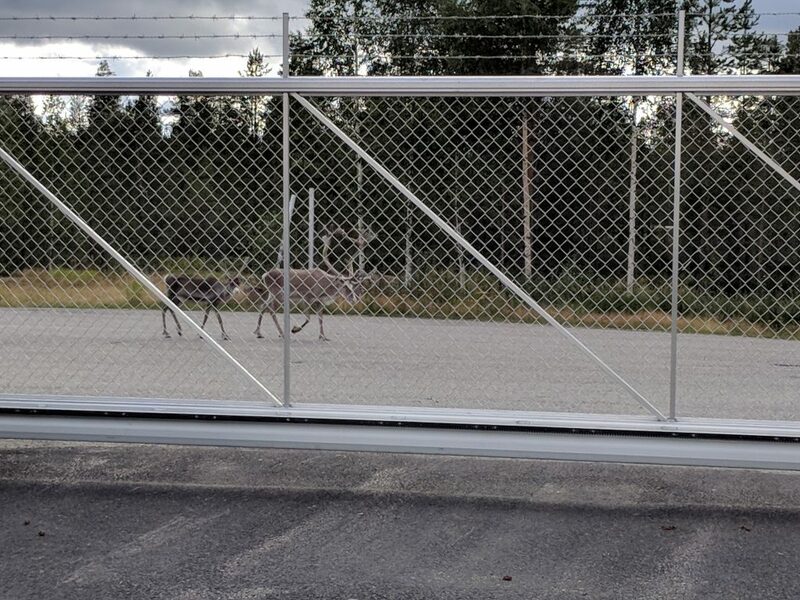 Curious reindeers in the vicinity of Sodankylä airport. Photo credit: Joan Marie Blanco. 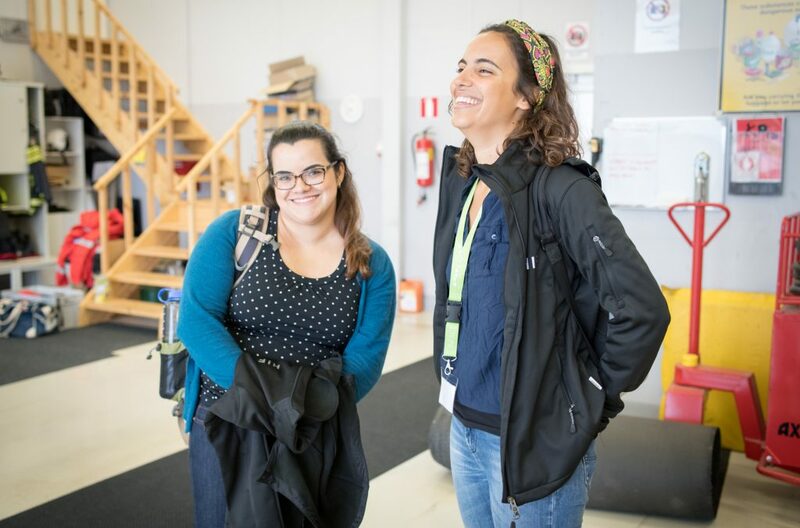 This post was written by Geophysicist Dr. Joan Marie Blanco who is working at the Helmholtz-Zentrum Dresden-Rossendorf (HZDR) for the INFACT project. 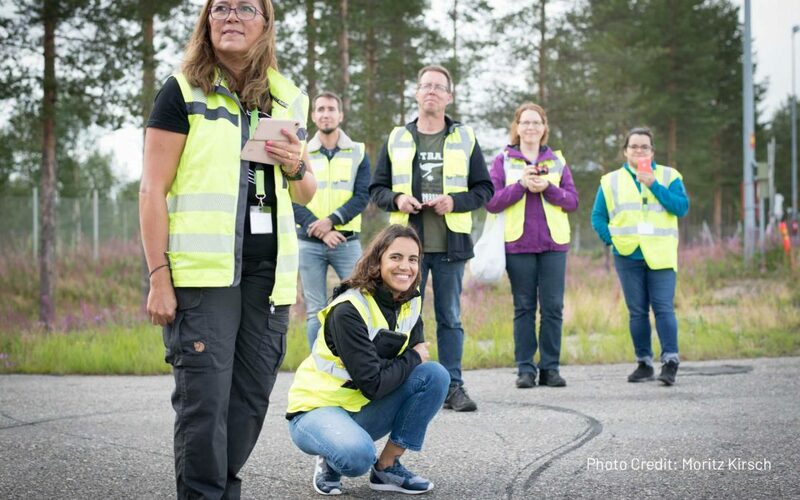 The INFACT Campaign 2018 posts series will be featuring the development of the flight campaign in the 3 reference sites (Finland, Germany and Spain) in summer 2018. The posts will describe the major achievements of the tests in a rather personal approach.